Ian Marsh was dyed-in-the-wool red and black throughout his stellar but tragically short playing career. A product of Launceston’s northern suburbs, Marsh was a dominant player in North Launceston’s Under 19 state premiership team in 1972, going on to become one of the best young mid-fielders in Tasmanian senior football in the mid-1970s. 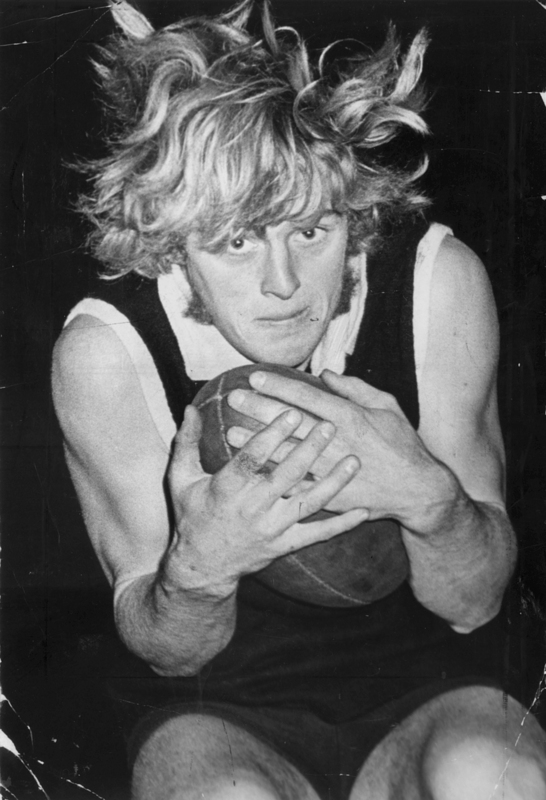 After winning the NTFA Best and Fairest Award in 1975, Marsh came under further notice in the legendary state premiership game between Peter Hudson’s Glenorchy and Peter Daniel’s North Launceston. Following this game Marsh was recruited to the VFL, along with Glenorchy’s Rodney Eade and Darryl Sutton, where all three began fine careers at the highest level. Marsh joined Essendon and after sporadic appearances in his first two seasons became a regular on the wing for the Bombers from 1978 to 1980. His 1980 season was his best and he played 19 games, averaging 23 possessions per game in a dominant performance on the wing. Sadly Marsh was unable to play at the commencement of the 1981 season due to heart problems and underwent open heart surgery in July that year. The following month he returned to training but despite making the reserves couldn’t break back into the Bombers’ senior side. Marsh continued to play district football until the end of 1985.